While we do reject the notion that homophobia in Uganda is an American import, I think it is proper nevertheless to hold the three Americans — Lively, Exodus International board member Don Schmierer, and the International Healing Foundation’s Caleb Brundidge — accountable for the conference and its aftermath. 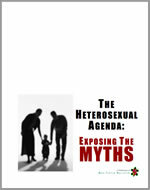 As many independent observers have noticed, this particular conference, with the unwieldy title “Exposing the truth behind homosexuality and the homosexual agenda,” turned out to be — as I correctly feared when I first learned about it a week before it took place — the prime catalyst for the massive convulsion of anti-gay hysteria which followed and ultimately led to the tabling of the draconian Anti-Homosexuality Bill before Parliament. Jim Burroway: Over here in the US, we often get an unclear, distorted view of what’s happening in Uganda. But when we look, we find that there have been a lot of outing campaigns in the 2006, 2007. To put things in perspective, did that conference really make things worse for LGBT people in Uganda? Or was it just that the rest of us in the Western world, we noticed it because we hadn’t been paying attention before? Did it really make things worse? Bishop Senyonjo: What we saw coming to the office, it made things worse. Because soon after that conference, we saw the introduction of the bill, you know what I mean? Because I think it was October something when Bahati came out with that bill, And we knew, I knew, different ones were at that conference that before the people come to speak to us, Lively and his company, they had also met with some members of Parliament and talked with them, even I think with the Minister of Integrity. So they had met with him and of course they spoke with someone in power behind them. Right? And not long after, this bill comes up. Burroway: So, some of the people that you counsel, have they talked about their fears about the Anti-Homosexuality Bill? Burroway: Do you have any particular examples you can share without breaking anybody’s confidentiality? Burroway: Because a lot of them loose their family, too, is that correct? Senyonjo: Oh yeah. That’s true. … so it is not easy. There is real fear of what is going to happen if this bill passed. And that is why many of us feel everything possible should be done to reject this bill. Bishop Senyonjo was an eyewitness to all three days of the three-day conference, so I pressed him to talk more about Lively’s talk –particularly Lively’s assertion that homosexuality and Nazism are inextricably linked, and his blaming the Rwandan genocide on gays — but he was reluctant to touch those topics. “It creates a lot of unnecessary fears,” he said. “It does, and we may probably not want to repeat those.” Besides, he felt that those who attended the conference didn’t place much weight to those two points, which surprised me because I thought that those were the most incendiary parts of the entire conference. Burroway: One of the things that I keep reading in the newspapers in Uganda that are on the Internet is that there’s a widespread belief that gay people are recruiting children in the schools, and then I heard basically Scott Lively say the same thing at his conference. Do you think that his talk helped confirm some of those fears that people have? Senyonjo: Yeah. 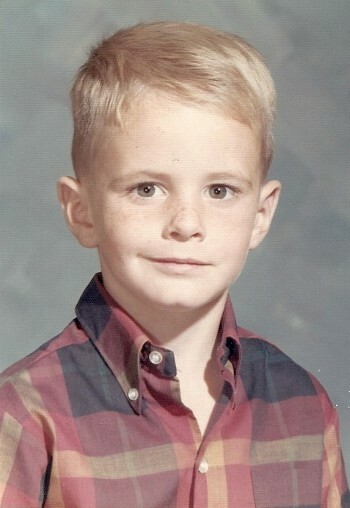 In fact, even myself, I was at one time accused that I was going to schools and trying to recruit, as it were, people into homosexuality, which is actually blackmail. And you can see, what are the intentions of these people to do this? …. People who will say this, they have very evil intentions which I don’t understand. Because I don’t go to schools to recruit young people. In each …. People develop into what they are, they know themselves whatever they are, what kind of sexual orientation they are. They are not being recruited into it. Buroway: I know. I mean nobody recruited me. Senyonjo: [Laughs] That’s what I’m saying there’s a lot of work we have to do in education. They threaten the parents, they say that people are going to schools trying to recruit their children into being gay or what? This is not true, you know? Scott Lively’s philosophies have been deeply internalized here among those who are proponents of the law, and for people who are listening to these public dialogues on homosexuality, they’re hearing Scott Lively’s words reiterated by Ugandan Evangelicals and others who are proponents of the bill. And they believe it to be Gospel. They believe it to be scientific fact, what they’re listening to. Pepe Onziema: (SMUG) The conference basically introduced the idea that homosexuals, their agenda is to recruit children into homosexuality. van Zeller: So before this conference this concept didn’t really exist in Uganda? There is a culture of fear among gay people and among non-gay people. I mean the non-gay people are fearing that the gay people are invading our culture and want to recruit children into this thing. The gay people are scared because there’s a massive onset of hatred, if you look like you’re gay then you might be arrested, you might get mob justice, you might just get assaulted. So there is generally fear on every front. I did that for the sake of protecting our children. Here in Uganda we have a problem of people promoting homosexuality, especially using money and materials to recruit young people. And we know exactly where he got his “facts” from. “Missionaries of Hate” airs Wednesday on Current TV at 10:00 EST. A preview is also available on Hulu. “I would have loved nothing better than to share our disdain for this bill and apologize for going anywhere near such a horrible conference.” — Alan Chambers on Dr. Throckmorton’s blog, 3/10/10. It’s hard not to see the connection between the “recruitment” myth and the constant rhetoric about “children” in anti-gay campaigns here. It really is our community’s equivalent to what the Blood Libel is for Jews.